According to EY, international banks are spending more than US$1 billion per year each to implement regulatory compliance and controls. As financial regulations evolve with the changing industry landscape, the burden of compliance will continue to increase in both cost and complexity. 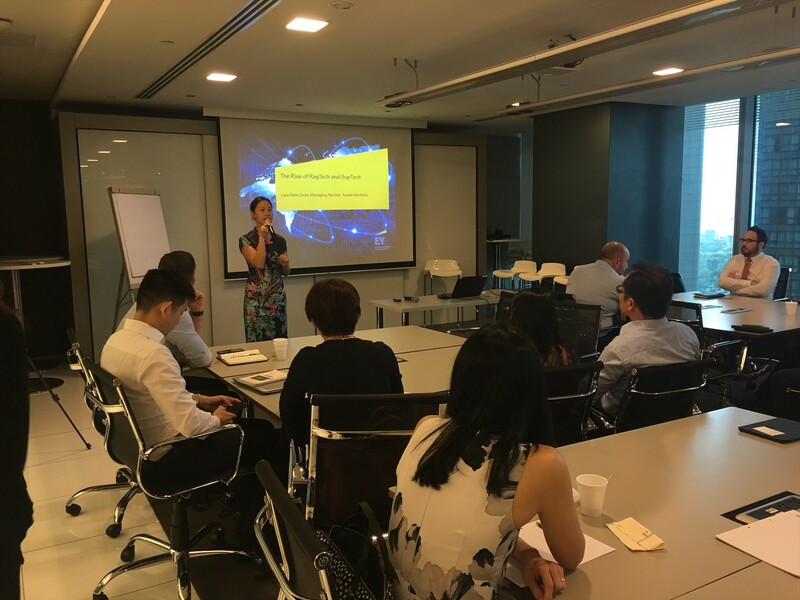 At the previous IBF MasterClass, we heard from EY on how advancements in Regulatory and Supervisory technology - or RegTech and SupTech – are bringing innovative, agile and scalable solutions to help financial institutions address key compliance and reporting challenges, and improve the effectiveness and efficiency of compliance processes. The key benefits of adopting RegTech as a compliance tool include reduced compliance costs, enhanced data analytics, improved regulatory reporting and positive customer experience, amongst others. There are, however, no all-encompassing RegTech solution. Therefore, financial institutions must first identify gaps and understand their specific compliance needs before exploring possible solutions in RegTech. Additionally, collaboration is crucial in the ecosystem of regulators, financial institutions and RegTech providers, in order to effectively deploy such technology for compliance and risk management efforts. With the growing need for innovative compliance solutions, EY suggested that data science, analytical capabilities and creative thinking are the skill sets that are increasingly important within compliance functions, and that financial institutions should look to learn from leading Tech companies in how they manage and handle vast amounts of data for compliance requirements. We thank EY for hosting this session at their premises, as well as the speaker and panellists for the perceptive and engaging session. We have an exciting line-up of IBF MasterClasses and Connect seminars, where our industry partners will be sharing their insights on the latest trends and developments with finance professional. Please click here​ to find out more. 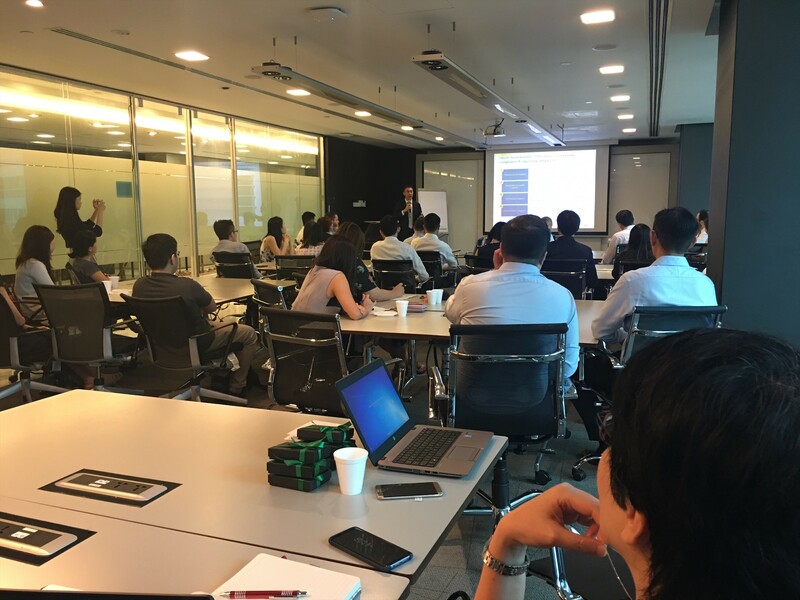 Presentation on "The Rise of Regtech & Suptech"
​Nam Soon is Managing Partner, Asean Markets, EY, and is responsible for managing the advisory, assurance, tax and transactions business. He is a member of the Financial Services Asia Pacific Leadership team and is also the Diversity and Inclusiveness leader for Asia Pacific. Nam Soon has over 24 years of consulting and industry experience in large scale business and technology transformation, as well as risk management and compliance. He has worked extensively in retail, private, commercial and investment banking, asset management, insurance and private equity. 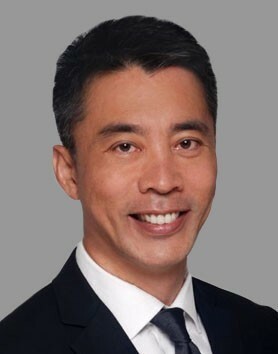 Prior to joining EY, Nam Soon held senior leadership positions as Chief Transformation Officer, Prudential Asia; and Partner, Financial Services and Wealth Management leader, IBM. 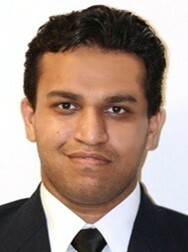 He was also previously a partner with PwC and started his career with Andersen Consulting. 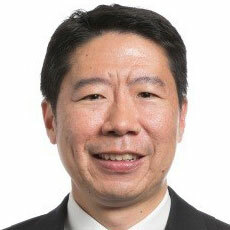 Nam Soon has deep experience in advising senor client executives on business, technology and digital transformation; risk management and governance, regulatory compliance; M&A, operations improvement of shared services information technology and operations; design and implementation of target operating models; managing cross-border IT and operations and outsourced portfolios across countries including China, Hong Kong, Taiwan, Japan, Korea, Thailand, Philippines, Malaysia, Singapore, Vietnam, Indonesia, India, U.S. and the U.K.
Varun is the Fintech and Payments Lead for ASEAN. He has 7 years of experience in Fintech and Telecommunications industry. He joined EY in 2017 and currently is based in Singapore. He has led a number of initiatives and programs for global financial services organizations focused on merchant acquisition, operations and customer experience. - An intrapreneur at heart and computer science engineer by training, Varun is the covering emerging technology and business models in financial services across ASEAN. Previously Varun was the first marketing and sales employee at helloPay (acquired by ANT Financial, Alibaba Group), led payments for Samsung in ASEAN and developed regional mobile payment solutions at Singtel Group. Varun is also part of founding team of Singapore Fintech Association and ASEAN Fintech Network, working closely with startups, educational institutions, investors and regulators across ASEAN. - Joined EY in 2017 and based in Singapore. ►David joined the Singapore practice in early 2017 following 3 years in Hong Kong where he led EY’s risk practice focusing on inbound global financial services clients, and 9 years in our New York office. ►David assists global financial institutions respond to emerging risk and regulatory challenges, and leads engagements to help clients implement comprehensive risk management, governance, monitoring and oversight frameworks. ►Leading a project to support the Asia Pacific business of a global US-based financial institution with enhancement of the effectiveness of its regional and country-level risk governance framework and embedded business control and oversight processes. ►David is a key contributor to EYs thought leadership around risk governance and financial regulatory reform. He works closely with EY’s global regulatory leadership network across the US, EU and Asia Pacific in addressing emerging regulatory and legislative initiatives concerning the financial services industry, and engages in dialogue with local regulators and supervisors including the US Fed, OCC and FDIC, UK PRA, HKMA, SFC and MAS on emerging issues. Brian Thung is a partner in the Financial Services group based in Singapore. He has more than 20 years in-depth experience from both external audit and advisory work capacities for financial services clients. Prior to working in Singapore, he spent three years working in EY FSO in New York. Currently, Brian leads the Southeast Asia and Singapore Financial Services practice and is a member of the EY Global Hedge Fund Steering Committee. Brian has vast experiences serving asset managers, hedge funds, private equity funds and investment companies and is involved in a wide range of advisory projects. His expertise lies in audit examinations (including mock audits and regulatory inspections), advising on fund structuring, leading internal control reviews, and providing performance audit consultation on regulatory matters as well as performing due diligence procedures associated with asset management acquisitions. He has extensive industry knowledge of core and alternative funds’ structural and operating issues, including offshore entities and fund of funds. Brian is a key member of the GIPS and ISAE 3402 team in Singapore. He has also led numerous due diligence and forensic accounting teams in Hong Kong, Seoul, Jakarta and Manila for a number of major Asian and US corporations. Some of his major clients include Broad Peak, Citigroup, Dymon Asia Capital, Goldman Sachs Asset Management, Standard Chartered Bank, Lion Global Investors, Ichigo Asset Trust, and Axiom Asia Private Capital Funds. Prior to joining EY, Brian was a Police Inspector with the Singapore Police Force. Brian graduated with a Bachelor of Accountancy, Nanyang Technological University (Honors), Singapore. He was qualified to practice as a Certified Public Accountant in New York in 2000, and is also a practicing member of the Institute of Singapore Chartered Accountants. He is also a member of the Executive Committee of the Singapore Chapter of the Alternative Investment Management Association. In addition, he received a Singapore Police Force Local Merit Scholarship in June 1991. Click Image thumbnail to enlarge.